Agent Tommy Van Ess wins Star of Madison award! The Stars are out! Each year, the Wisconsin State Journal provides ballots for locals to vote for the best business or service in many different categories in the area. 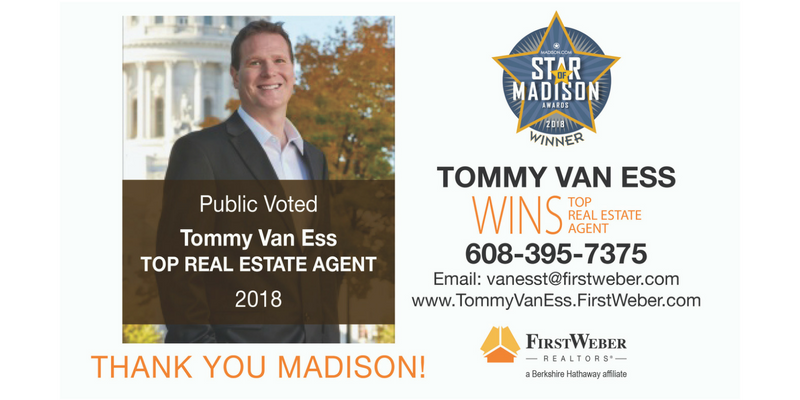 First Weber is proud to announce agent Tommy Van Ess was awarded the 2018 Star of Madison Award in the Real Estate Agent category! We’re thrilled to have Tommy on our team.